I was asked yesterday by one of you lovely ladies if I had a recipe for a mayonnaise using some avocado oil. 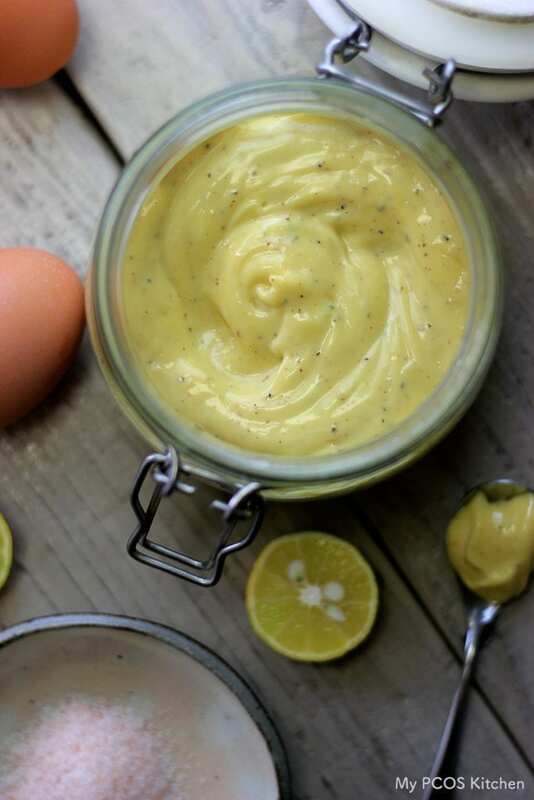 It’s actually really easy to make homemade mayonnaise, and the fun part is you can use different types of oils to make it! You could even blend 2-3 oils together to make your own homemade personalized mayo! 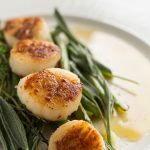 The traditional mayonnaise is usually made with either soybean oil, canola oil, or vegetable oil, but I think those oils aren’t necessarily healthy for us. Moreover, they usually have different types of additives and MSG added to them. I usually choose to make my own mayonnaise with either a light olive oil, avocado oil, coconut oil, or a mix of two or three of the oils. I wanted to show you the difference in colour of the different mayonnaise you can make. Don’t be shocked if your mayo turns into a greenish colour, it’s only because the avocado oil has a darker colour than olive oil! When mixing the oils together, you will again achieve a different colour and taste! I personally like adding different spices into my mayo to give it a little extra flavouring. You could add some garlic, chives, red pepper flakes, black pepper, basil, and so on! 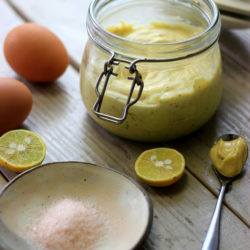 I choose to add 2 egg yolks in my mayonnaise because it makes it extra creamy and spreadable! Also, it’s really important to use light olive oil because extra virgin oil will make the mayonnaise taste a big too strong for the palate (unless you like that). 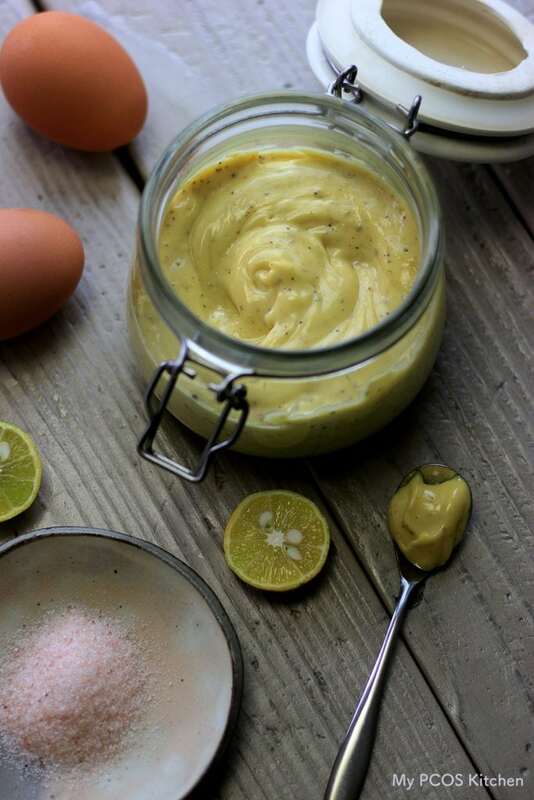 In the recipe, I gave different options for different kinds of mayonnaise so you can choose which one you want to try! 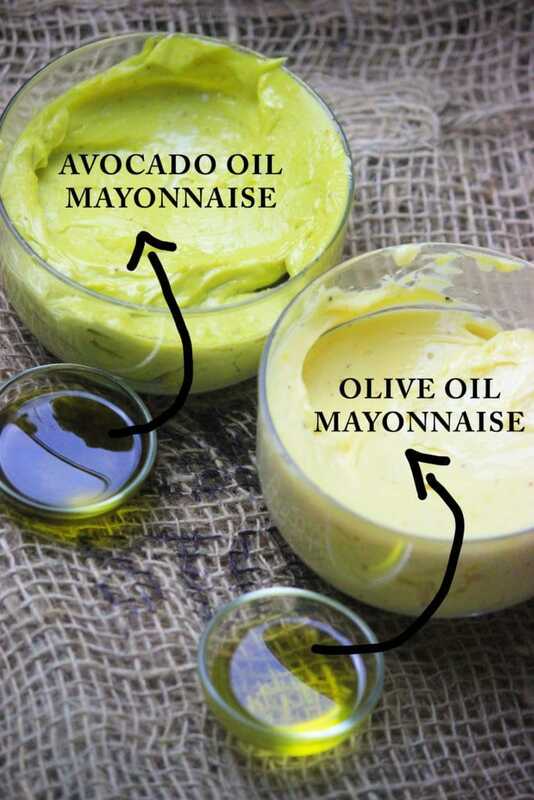 Keep in mind that mayonnaise made with avocado oil/olive oil/coconut oil taste different than the traditional ones!
. Pulse it for 10 seconds to combine. Keep pulsing until all of the oil has been added and your mayonnaise has thickened. Here, you can add any spices you want. Once the mayo is done, transfer it to a jar/tupperware and refrigerate. It will keep good for about 1 week. If you break your mayo (by adding the oil too fast), put 1 tbsp of water into a bowl and the broken mayo a little at a time while whisking it with the water. It'll turn back into mayo instantly! 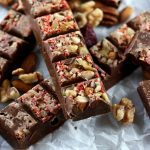 How long do you think the recipe would last? Do you just make it as needed or can you store it for a month or two? 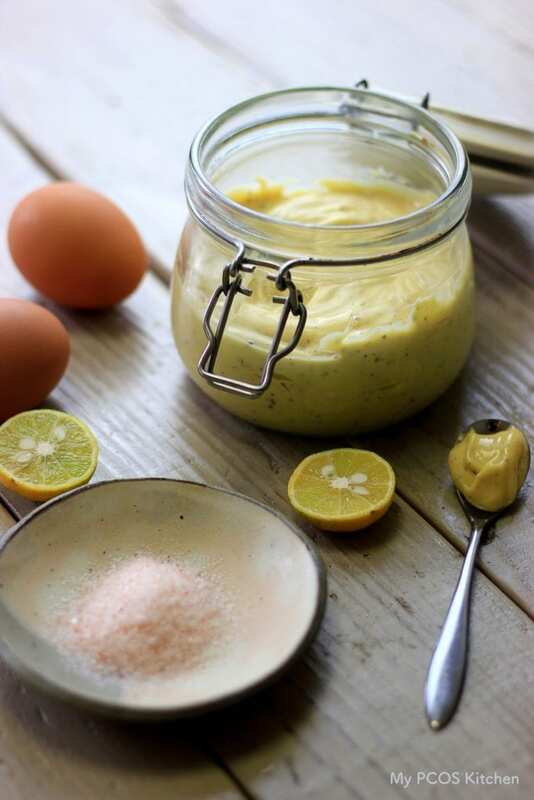 Homemade mayo usually lasts 1 to 2 weeks in the fridge. 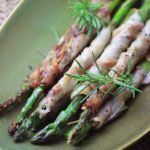 If we aren`t supposed to eat raw eggs what makes them ok in this recipe? All mayo is made with raw eggs. If you don’t trust the eggs where you live, make sure to get pasteurized ones. I have made this twice and each time it is very thin, no standing peaks when I am done. The second time I made it I used 3 yolks and it was slightly thicker. Each time it broke and I needed to use your method of whisking in a bowl, which worked great. The taste is wonderful. I am using half avocado oil and half olive oil. 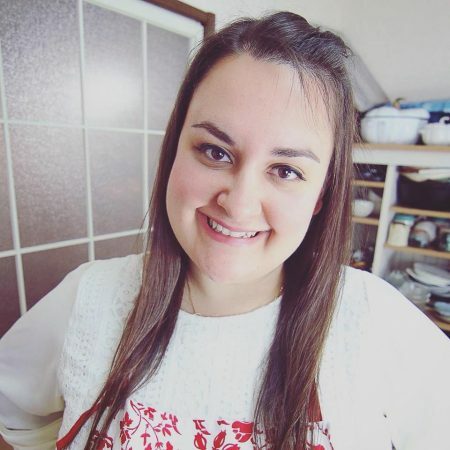 Over working it in the food processor? Using the wrong size eggs for yolks? You could be pouring the oil too fast or your food processor isn’t strong enough. I have two food processors from Kitchenaid, one is a mini and one is a gigantic one. The mini one always makes a thin mayo and the big one makes a thick mayo. If you break it, it’s definitely because the oil was added too fast or you stopped the food processor halfway. Can’t stop it no matter what or it’s going to break. I haven’t tried so I’m not sure if it would work. I’ve been making your recipe for quite a while now and must say I really love it. I’ve been experiment with the different oil combinations and avocado oil is definitely my favourite. Do you think a hand held immersion blender would work instead of a food processor. It should work, but I haven’t tried to be honest. But there are lots of mayo recipes with immersion blenders so I think it should be okay.